Spokane as a Tree City USA. “Of course, I’ll be there.” A few days later am email gave me the agenda for the ceremony and there was my name. 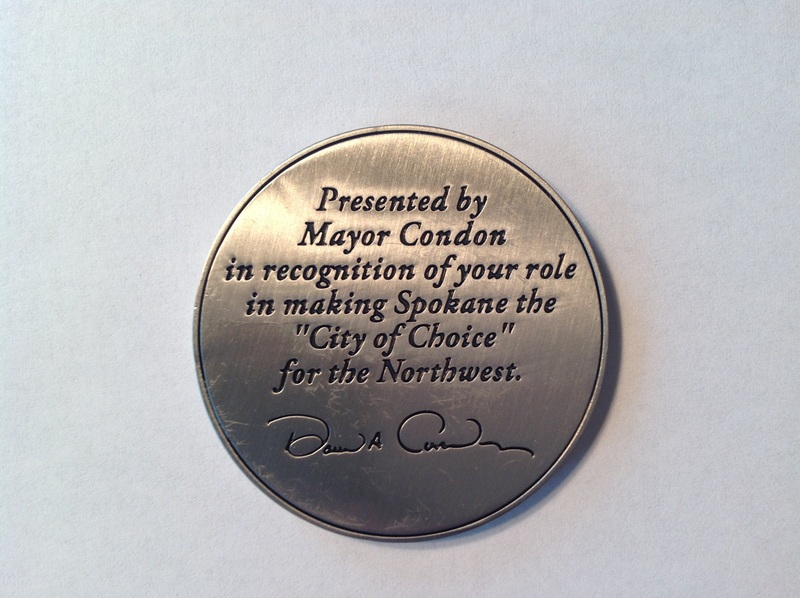 The mayor would be presenting me with one of the 250 special coins minted as thank you’s for good service to Spokane. 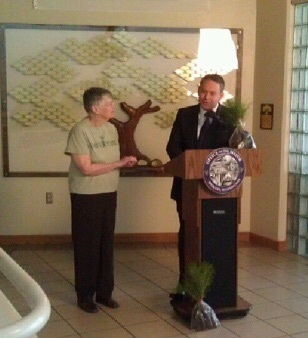 In his presentation he quoted from the blog that I wrote on March 21 talking about that bittersweet tree planting. Susie Forest. Susie would be so proud. I hope that the installation of Becky’s Turtles will also be noticed in the years to come. I love living in this city. 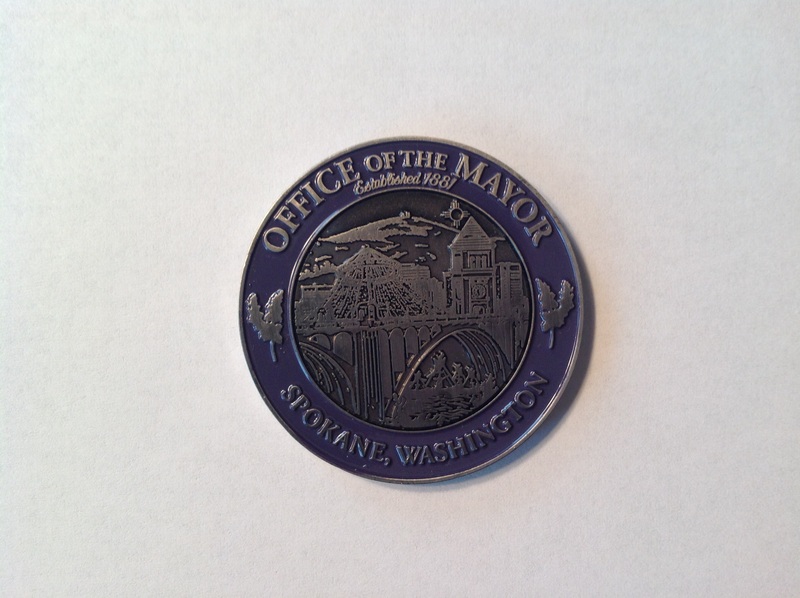 These pictures make the coin look like a plate but it’s really just a bit bigger than the old silver dollar. I keep it on the sideboard with Susie’s Cooper Jones Award.